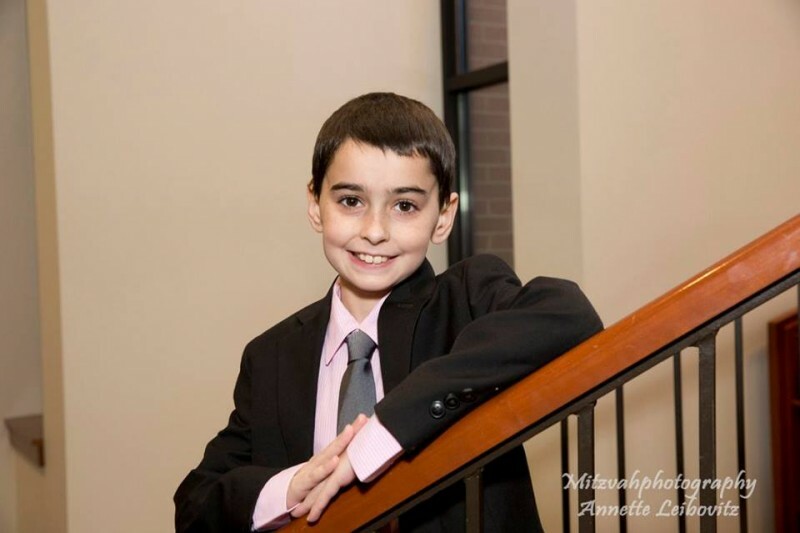 Joshua M. was a healthy, active & sweet 11 year old boy until recently when a few seemingly innocuous symptoms resulted in testing that revealed a sinister tumor in his brain. The resulting diagnosis has left the family, community and of course Joshua himself shaken, scared and shocked. DIPG is a rare and very lethal form of pediatric brain cancer. The immediate and extended family of their beloved Joshua had to endure the words nobody ever wants to hear. "Your loved one has a terrible form of brain cancer." Beginning tonight, February 10, 2016, Joshua is undergoing immediate radiation treatments for the next 6 weeks. At the end of this time, the doctors will evaluate what will come next. 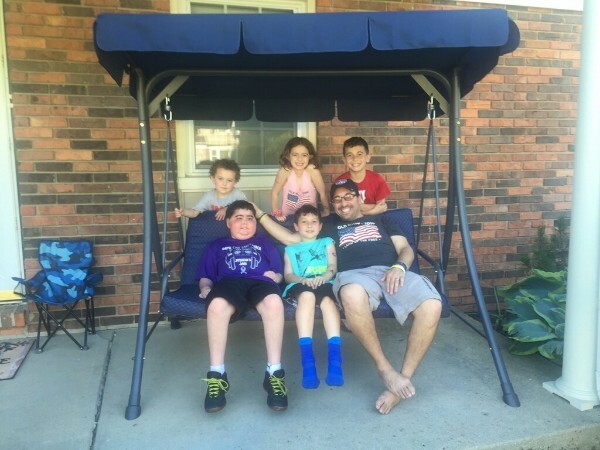 These treatments and all of the transportation and various other expenses that go along with them add up quickly and the family is in need of financial assistance. The treatments will enhance Joshua's short term quality of life immensely and without them his body will degenerate much more quickly. Many of Joshua's family, friends and members of the community have expressed a want and/or need to help. The most immediate need right now is for critical funds to cover these crucial radiation treatments. We all want to make a difference. Right now, the most efficacious way of making a difference for Joshua and his family is to take your feelings of helplessness, hope, sadness, anger, shock and confusion and turn them into action by making a donation today. All proceeds from this campaign will go directly to Joshua's immediate medical care. 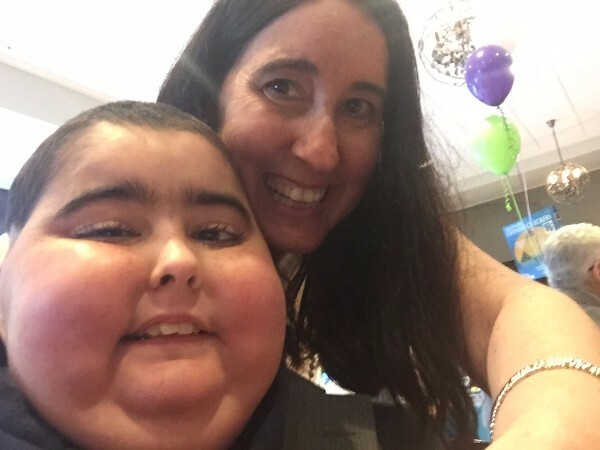 If previously donated funds are no longer needed for Joshua's care, all remaining funds will be donated to defeatDIPG.org , a foundation committed to furthering the study of this nefarious cancer, researching better methods of treatments and hopefully one day improving survival rates and finding a cure. There is no way to express the family's gratitude for your generosity. However, please know that you will be making a difference in Joshua's life by making this donation, and for that they are grateful beyond expression. On behalf of Joshua and his family, I thank you sincerely. Joshua's medical update was sent to me by Jeff, Joshua's Dad, which is perfect as it is Father's Day! As a father, I can't imagine spending Father's Day, (or any day), with my child in the hospital fighting for his life. This is their reality EVERY day since his diagnosis. It is a stark reminder to me as I go enjoy the day with my family that our donations here hopefully give Joshua and HIS family more time through the procedures he is receiving. Time is never guaranteed and the family appreciates what you have done for them allowing for the best available possible care. They need your financial support now more than ever as some complications have made the process in New York challenging and presented new financial obligations. "The infusion of chemotherapy was completed Friday morning without problems so Dr. Souweidane took out the catheter. Joshua then went to radiology for follow-up scans of his brain which took several hours. The scans looked ok, but Joshua had some trouble breathing in radiology so they needed to place a tube in his airway to help him breathe. Joshua is still in the pediatric ICU and his neurosurgeon will be back tomorrow morning for re-evaluation. Joshua had been sedated since Friday but is arousable this morning. He states he feels comfortable and is in no pain. He will start physical and respiratory therapy tomorrow. He keeps expressing that he can't wait to get out of the hospital and come home to his friends and family. We pray that we can make this wish come true sooner than later, but unfortunately we won't know much until he sees the surgeon tomorrow. We will likely be here for some time. Thanks to everyone for your love and support." Also, but equally importantly, I want to urge people to wait for these updates or look at the facebook page rather than texting Lisa, Dave, Jeff and Mandy. While the family truly appreciates your support, they really need to focus on Joshua right now and do not want to be spending more time texting and emailing than necessary. Updates will continue here through me and through Facebook by Nina! Hello supporters and promoters of Joshua and family!! We have reached our amazing most recent goal of $52,500 and our heading towards our next goal of $55,000! I talked to Lisa just now! Besides eating at Carnegie Deli and visiting the Statue of Liberty, this week was really mostly about testing, doctors and family time. Joshua finished up his testing today in New York and they decided to COME HOME until Tuesday when he will return to NY for the trial procedure which he DID qualify for! Again, to reiterate, this is not a cure, but it could extend his life and also improve the quality of his life! We ALL hope and pray for this outcome! I talked with Lisa and all is cautiously optimistic about the probability that Joshua will feel better! While this procedure is cutting edge and a bit frightening (major surgery on a child's brain always is), it is the first glimmer of hope since he had his radiation many weeks ago and then began to deteriorate. So...it is GOOD news! See you soon Lisa and family! Fly safely! Today is Lisa's Birthday... She doesn't need presents... All she wants is to have more birthdays with Joshua. Please continue to donate and share so we can try and help make this possible. Here is one way to give a present to Lisa right now! Please register right away online for the walk/run 5k event on June 12th to honor Joshua organized by his family friends! They have an amazing event planned and all proceeds benefit this go fund me account! What are you waiting for? Please go register now or donate today! Happy birthday Lisa... We all pray you have more birthdays with Joshua... And that EACH day for you is memorable and special. I know that you don't take any days for granted! Hello supporters and promoters of Joshua's cause! Tonight is an important update on the informational and funding side of things. June 6th through June 9th Joshua, Lisa, Dave and Jeff will be traveling to New York to take place in testing for a surgical trial that Joshua may qualify for. If he does qualify, they will be remaining in New York for the procedure to be done at a later date. This cutting edge treatment is the only procedure available to Joshua at this time and is only being done in New York. It is important to point out a few things. This is a trial. It is not a cure. It is experimental, and while done by the very best and brightest in the field of pediatric neurosurgery, it will be life extending and quality of life improving in an eventual best case scenario. 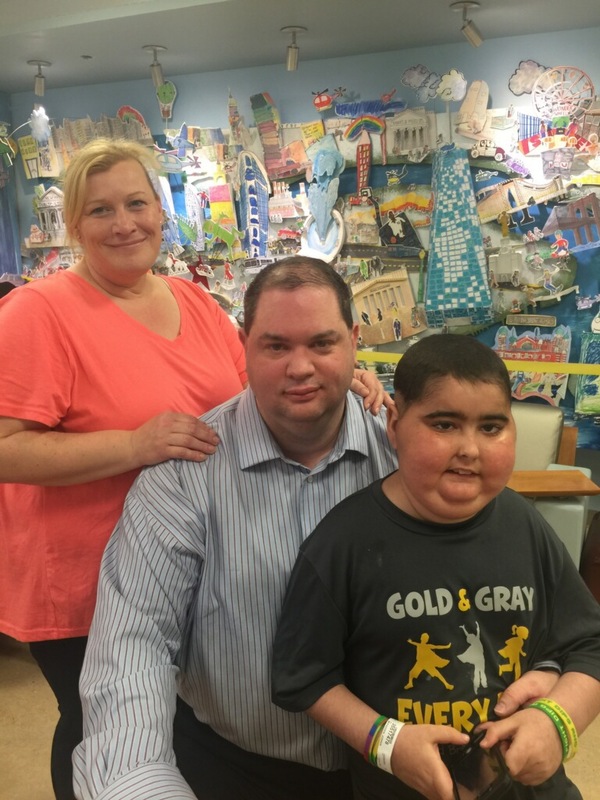 There are many risks involved and Joshua and his family are aware of them and have decided together to move forward with testing and the possibility of the procedure. The travel, accommodations, and additional medical bills that will result from this trip are substantial. Every time I have reached out to you amazing donors, friends, family, anonymous strangers etc. , you have answered the call. Please donate if you can and share this with eveyone you know. Help me raise as much money as possible to give Joshua as much chance as possible for a better life than he is currently experiencing. He is not well and without any other options his condition will continue to rapidly deteriorate. Joshua sat on my porch with me, my children and a friend tonight (pictured below) while Lisa, Dave and my wife and I chatted about life. Joshua continues to show his normal sense of humor around me, but he isn't the same innocent little boy he was just a few short months ago. It is stunning and debilitating to watch. The only way I know how to deal with these emotions is to turn them into advocacy for the family. I am sure you are all feeling these painful and angry feelings about Joshua's medical situation. Please channel those emotions into action and donate and/or share today to help make this trip possible. Thanks in advance for your generosity, kindness, understanding, and support. I tried to give as much detail as I could in this update so you don't need to ask the family via emails or texts. It is very difficult for them to repeat the same information to person after person as you can imagine and more importantly, this is an extremely challenging and personal situation. The response to this call for action is incredible. Thank goodness there are so many good people in this world. The family needs all the support it can get. We all need to pull together for Joshua! My sincere condolences for your loss of your adorable son. May you find peace one day. My thoughts and prayers for the McFadden and Dluger family. The service was wonderful yesterday. It is amazing, but no surprise, that young people have such a profound affect on the community in which they live. Joshua was certainly no exception! I have read so many posts from Joshua's aunt Nina. My thoughts and prayers are with your entire family.